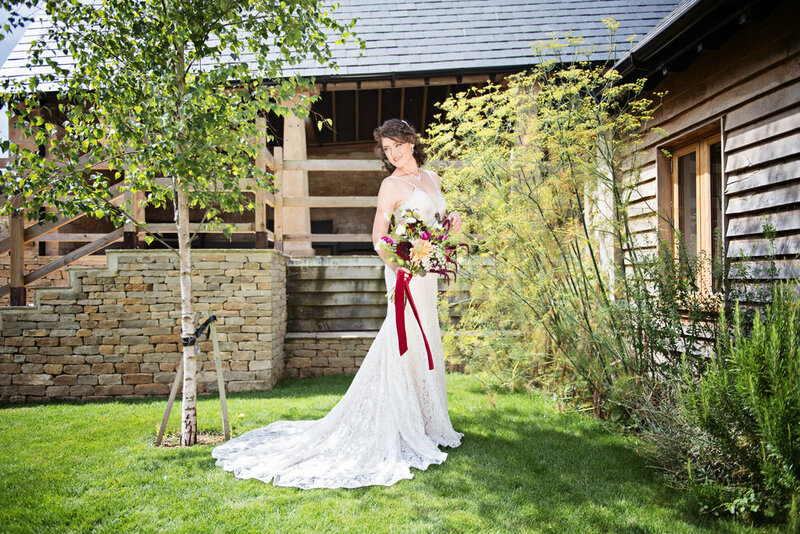 If you haven't been to Aynhoe Park, I would highly recommend visiting this amazing venue... Filled with the most incredible lavish taxidermy with giraffes hanging from the ceiling by balloons to polar bears being suited and booted in military gear- it's really very spectacular. And what a place to have your wedding day - it's just so different, unique and elegant. So when I was approached by a couple who are getting married there to design their wedding invitations, I was naturally, very excited (as I am with any bespoke design) and wanted to create something to reflect the grandeur and opulence of this wonderland venue. 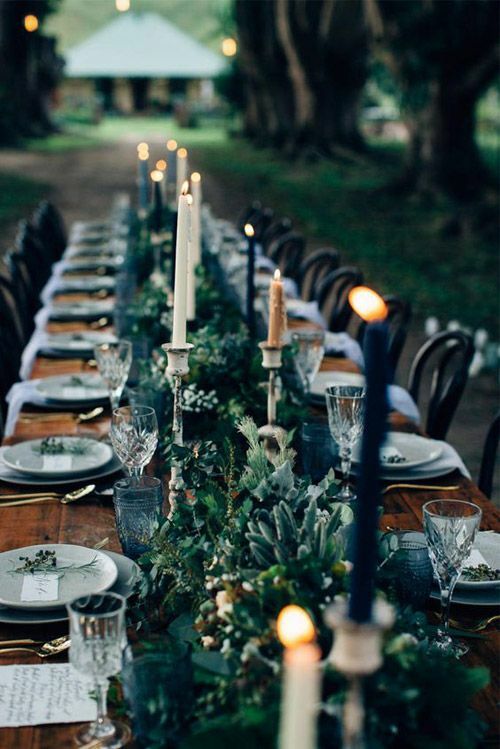 The tone of the wedding, for me, is always set with the venue choice. So I quickly had a good understanding of what the couple wanted and desired. 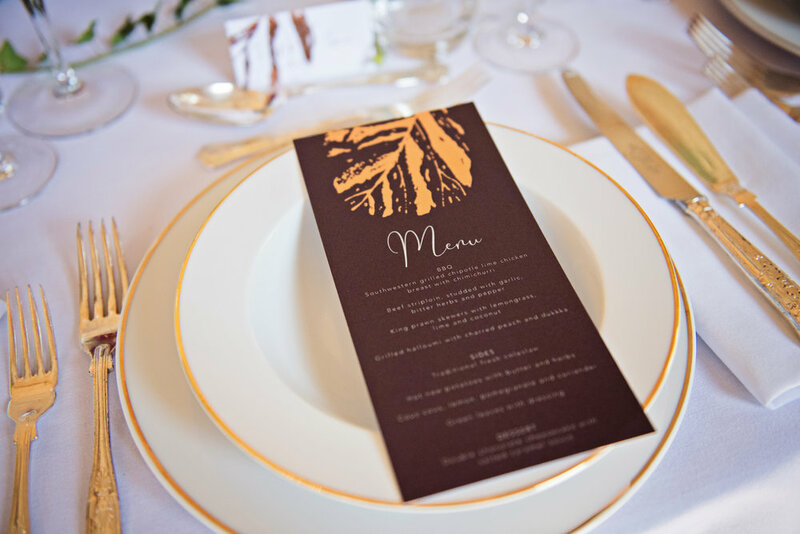 And upon establishing their colour palette of navys, greys, taupes, blushes and golds, they gave me the complete freedom in designing their invitations to create something to emulate the stylish nature of Aynhoe Park. The invitation was based around the first thing that I designed for them; their bespoke geometric monogram of the couple's initials. As you can see this heptagon runs throughout all the complimenting slips so everything has a consistency to it and it all ties together beautifully. 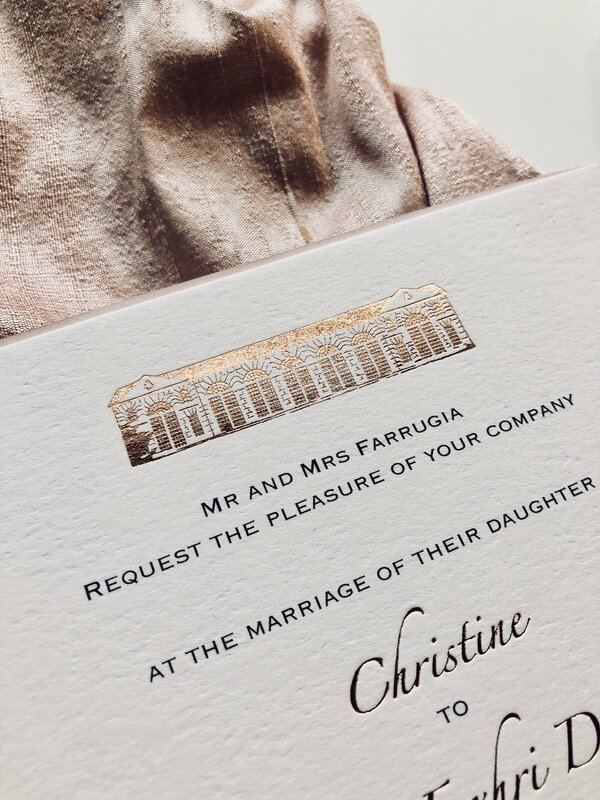 Their main invitation is all hand printed in a matt gold foil on a heavy weight GF Smith card. 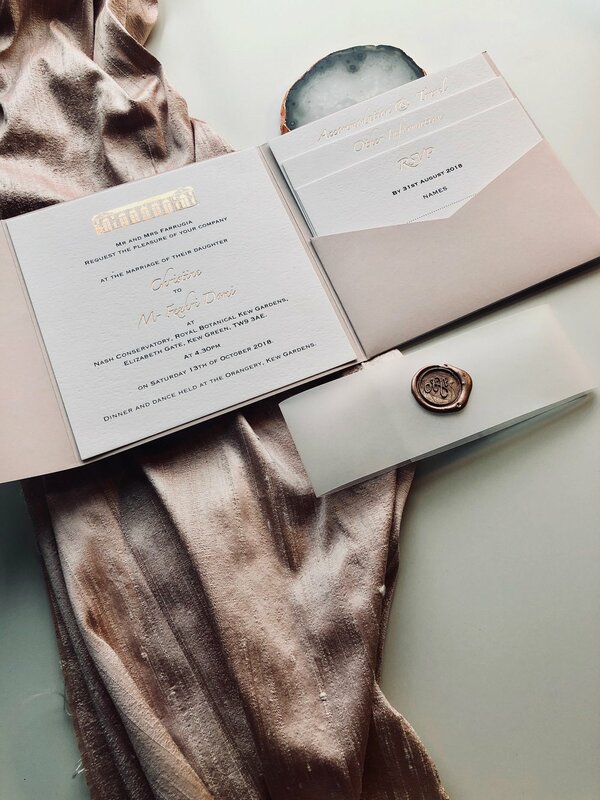 And as you can see their monogram is a feature on the other slips, keeping that continuity and heightening that elegant feel; even their envelopes have been foiled, which makes such an impact when guests receive them through the post. I had so so much fun designing, printing and creating these unique invitations and I just cannot wait to do the rest of their stationery! 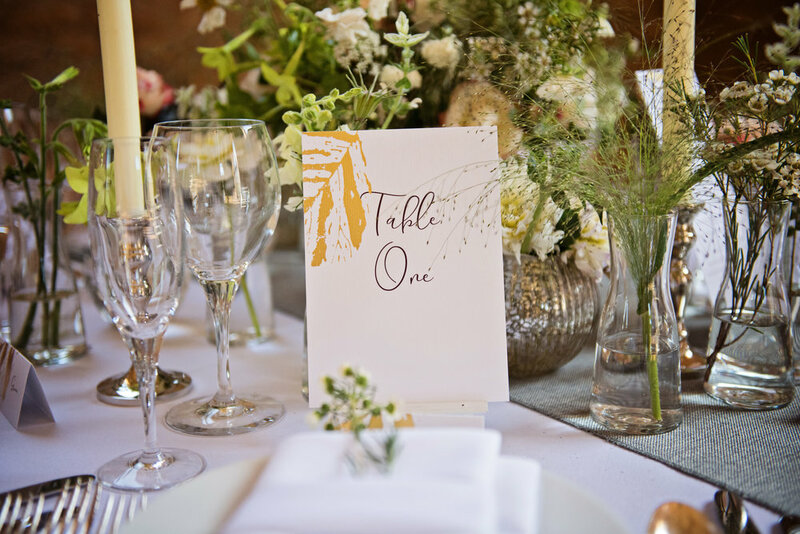 If you're planning to get married abroad or even on the beautiful British coastline, it would be a great starting point to reflect your venue choice in your wedding stationery. You should always set the tone of your Big Day with your invitations- after all, these are the very first impressions that your guests get of your wedding. The problem is, is that I've seen lots of 'nautical' and 'seaside' themed stationery and lots that I dislike! This is mainly because it's all too literal, too much of the same and can look quite tacky. Which is definitely not what you want and not what we do here at Retro! Whatever you want to have on your stationery, whether it's a starfish, an anchor or even a lobster, make sure it's done well, it's done elegantly and most importantly, it's unique to you and your Big Day. 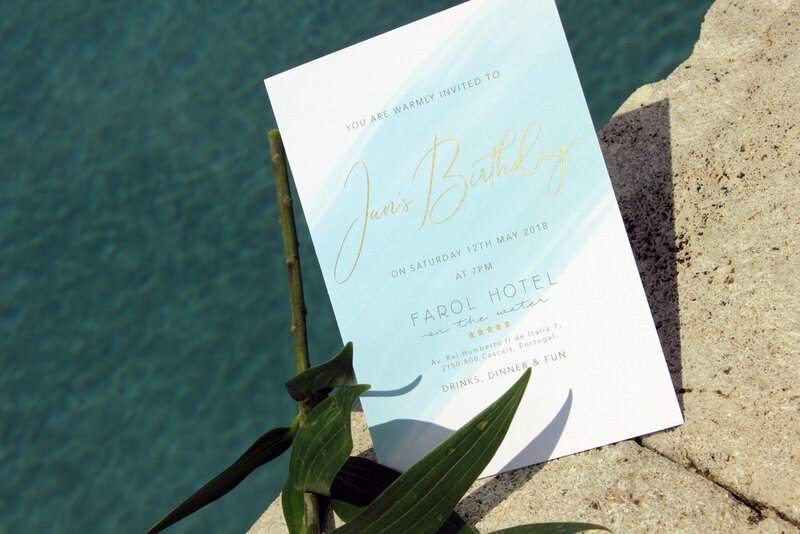 I recently designed some bespoke invitations for an important birthday party which was taking place in a hotel on the sea in Portugal. The vibe was elegant, decadent but also fun! I wanted to reflect the sea scape with a watercolour wash which added texture and the right colour scheme to the invite. As you can see, I gold foiled "Jan's Birthday" and the 5 stars of the Hotel. 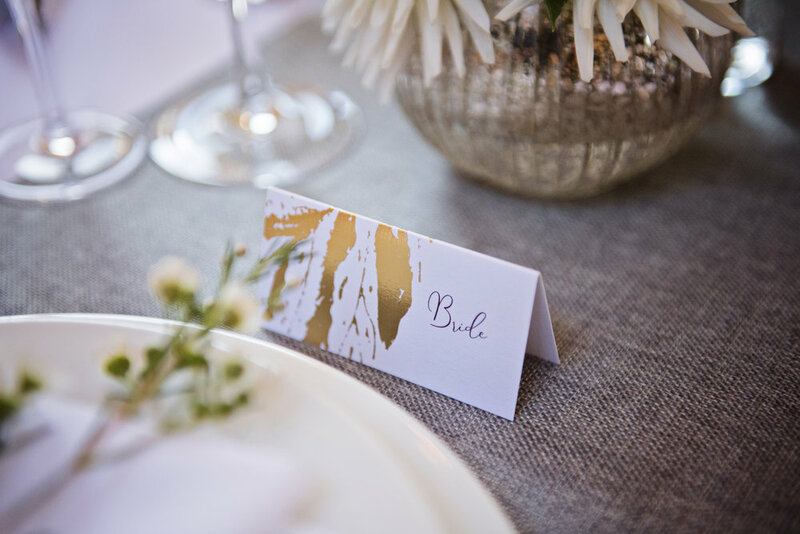 This adds the sense of glamour which is heightened by the beautiful font used to create these invitations. 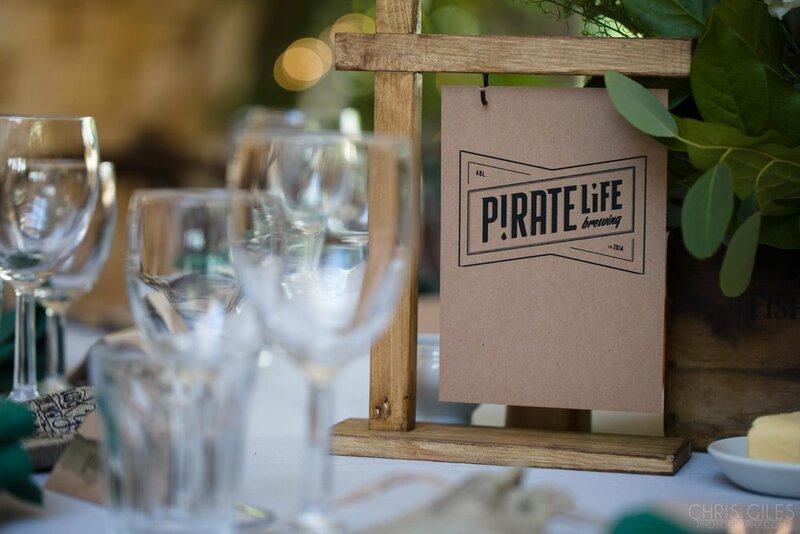 If you're looking for something different and bespoke to match your Wedding Day or indeed Birthday Party, please do get in touch to start discussing your ideas. I'm very excited to share that I will soon be adding a new range of designs to the website: The Foiled Collection. You will be able to change the foil colour to anything that you wish and make them tailored to you and your wedding. Hot foiling is an expensive process because everything is lovingly hand printed and of course, the materials needed, such as the foil and plates are not cheap. Thus, it's a luxury finish that elevates your stationery to the next level. 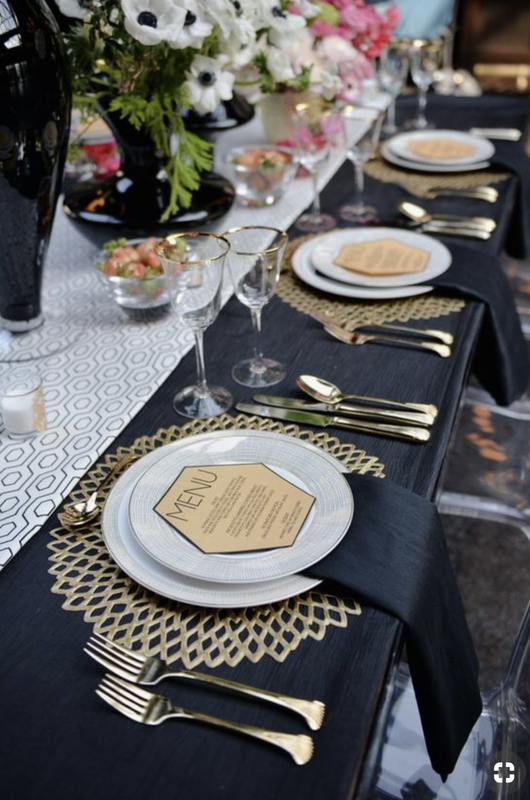 My aim with The Foiled Collection, is to make the process as easy as possible for you whilst making them affordable, elegant and luxurious. 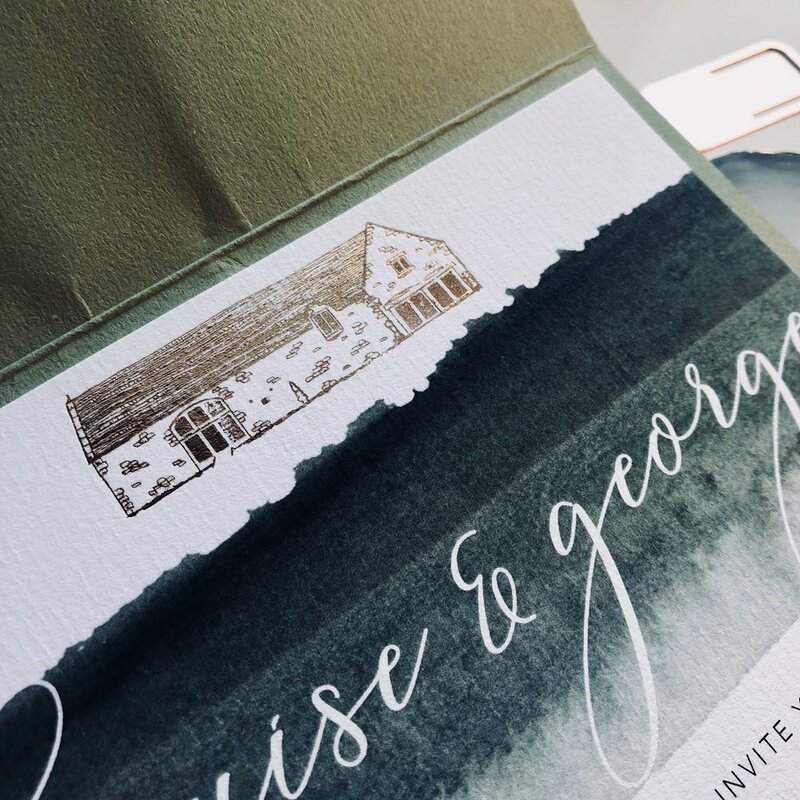 Here is a sneak peak at one of the new designs and showcasing the Save the Dates... Gold foil printed on beautiful vellum, layered on top of textured card with the details digitally printed. There will be an option to have the gold leaf printed straight onto the card, if you'd prefer. Please do get in touch for more info. 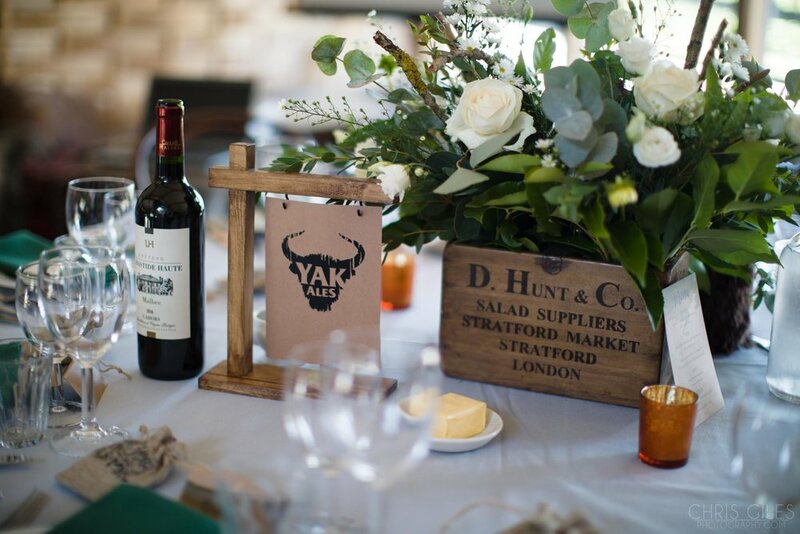 Do you get as excited about your wedding stationery as you do about your flowers, cake or even dress?! ... If you do, then adding luxury extras to your invitations or day stationery is going to be unavoidable! 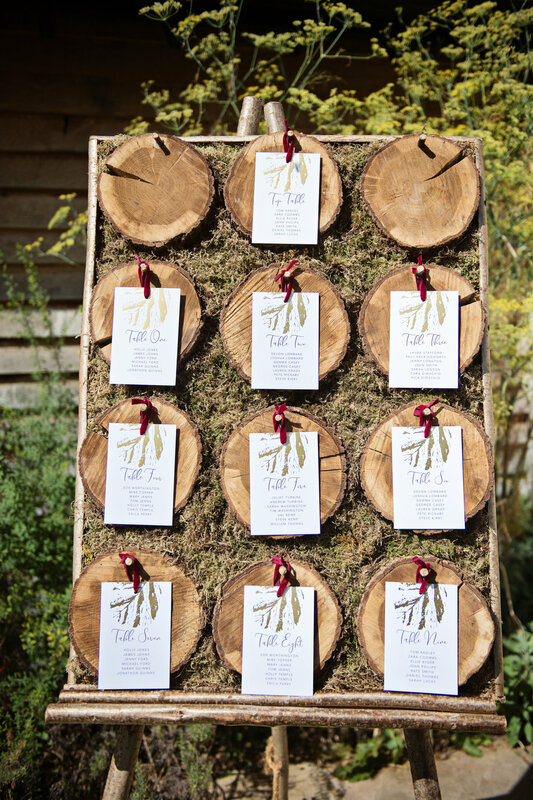 Your invitations are going to be the first little insight that your guests have into your wedding. You want to set the tone and make sure that they know what kind of day to expect. 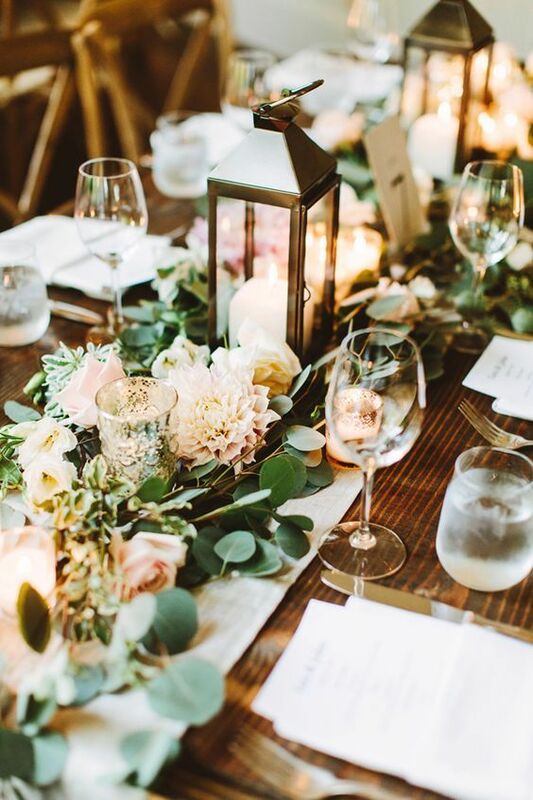 Whether it's a rustic, country, elegant, urban or Indian wedding, it's important that your invites match up to the same vibe that you're going for. 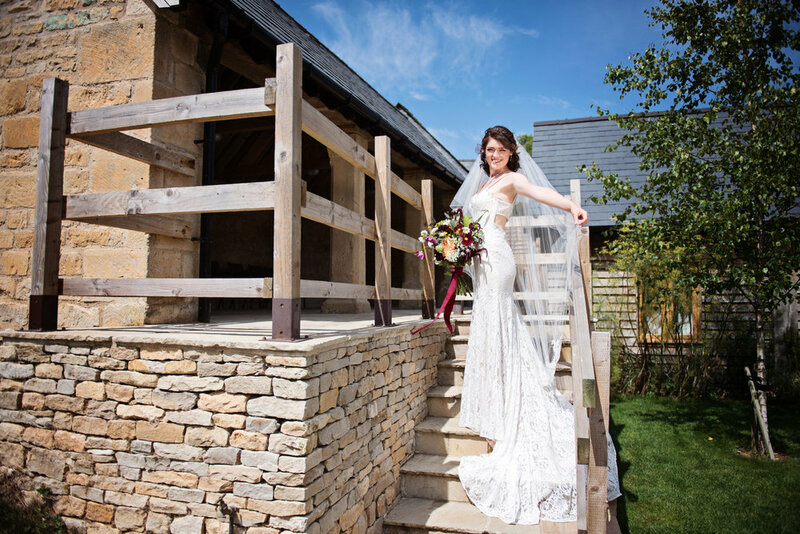 I am absolutely elated to be now affiliated with the beautiful Cotswold wedding venue, Lapstone Barn. 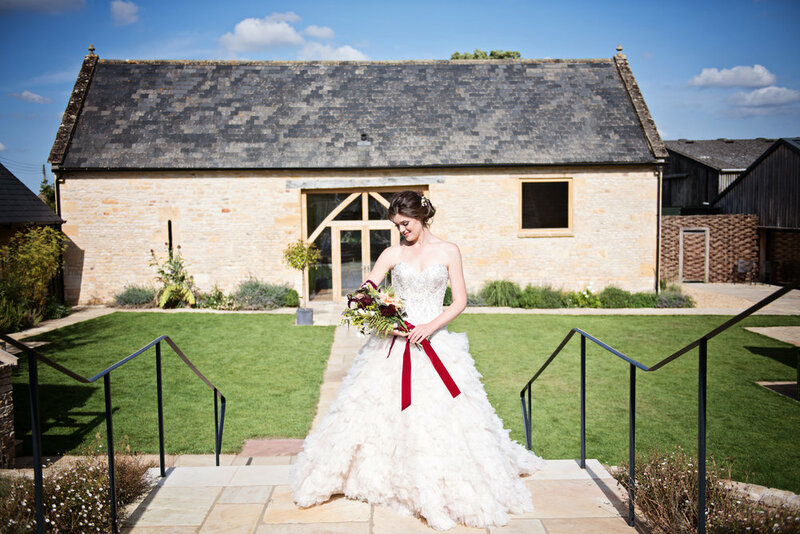 Situated close to Broadway and other neighbouring villages such as Chipping Campden, it's the perfect location for a perfect countryside wedding. Upon visiting Lapstone, I had a clear vision of what kind of wedding invitation I was going to design for them... I was blown away by the vast, luscious green views that surrounded the barn and I wanted to capture this within the invitation. 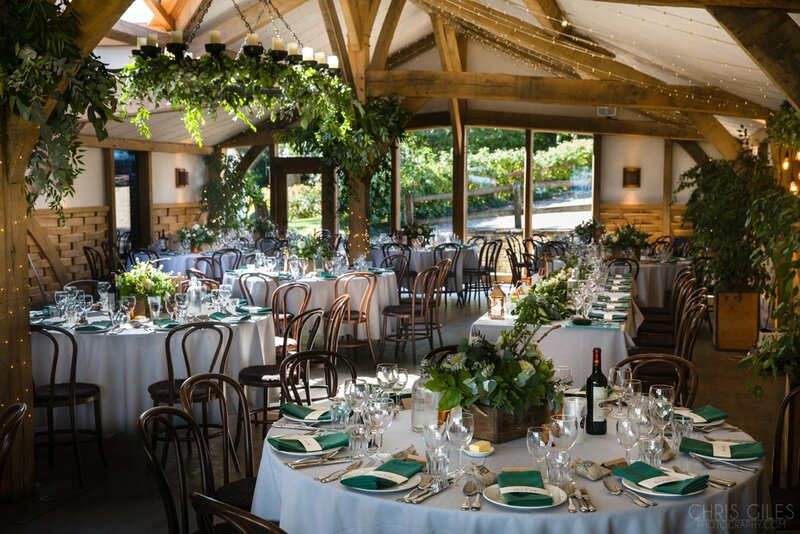 The other striking thing that hit me about this venue was that it had an air of elegance and sophistication to it, more like a stately home rather than a rustic barn type feel. Again, I wanted to reflect this in the design. So as you can see, I have used a few different processes to create these; the first being the hand painted watercolour element. I wanted to capture the landscape with this watercolour wash and also make it personalised to the barn by recreating their motif. 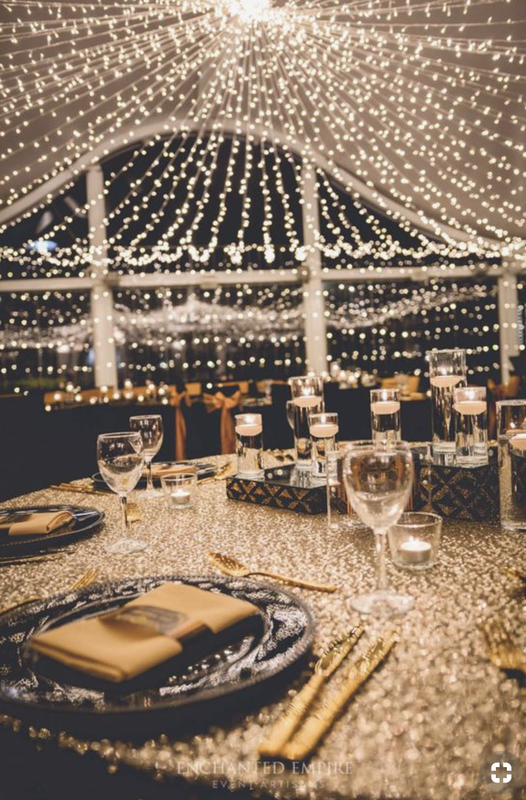 The second is hot foiling; I wanted to add a bit of 'sparkle' to the invites and I wanted to illustrate the beautiful fairy lights that run down their function room. 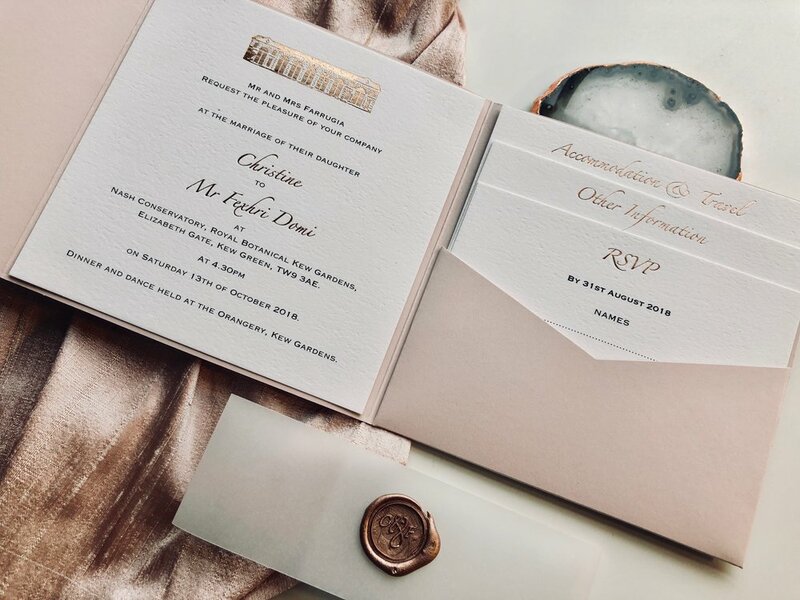 The foiled element of the invitations can be in any colour, as can the watercolour wash- it's important to reflect YOUR Big Day, so I do always suggest having the splashes of your chosen colour scheme within your invitations. Here is the final bespoke design I came up for the Barn... If you like what you see, please do get in touch to discuss your options. I would also highly recommend giving Lapstone a visit if you haven't already- you'll fall in love with the place as much as I did! At the moment here at Retro Press, I'm juggling lots of work, from on the day stationery items for couples getting married this summer, invitations for couples getting married from October onwards (so lots of Christmas invites in action) and Save the Date's for couples getting married in 2019. - With your Save the Date cards, I would recommend sending them out between 8-12 months before the Big Day itself. 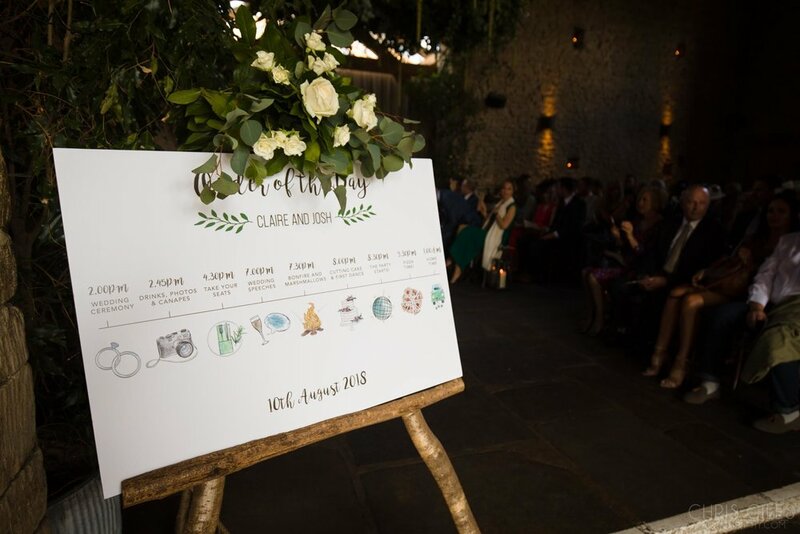 This gives your guests plenty of time to book the time off work and most importantly keep your date free! - Don't give too much info away on your Save the Dates- leave the venue as a nice surprise for when they receive their invitations. Keep them simple... So all you need on them is: Your Names (obviously! 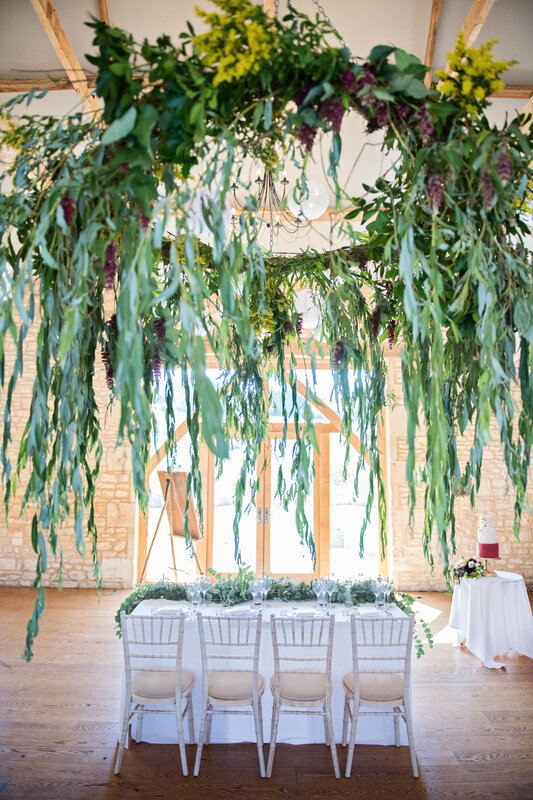 ), Date, Location (The Cotswolds for instance) and then "Formal invitation to follow" (or words to that affect)- so that they don't panic about not having all the details! - If you're struggling to decide on what style you want your Save the Date's to be- in terms of colours, etc- I would say go for something more neutral. 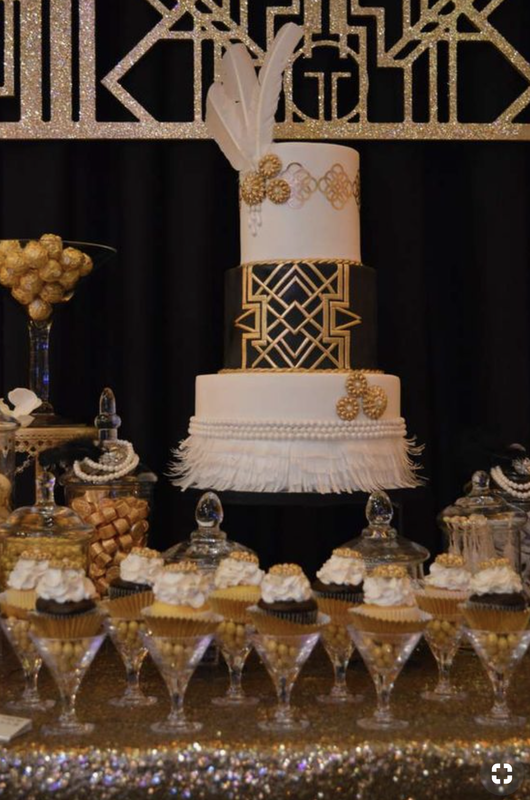 This way, you haven't restricted your options when it comes to your invitations. - Which leads me nicely on to my next point... Do the Save the Dates have to match your invitations? In short, no! I mean, it's always nice if the theme of your wedding starts with your Save the Dates, but it's really not essential. As long as they are along the same tone and vibe, it's totally ok if you've had a change of heart when it comes to your invites... I would say that it's more important that your day stationery and invitations are in keeping (in terms of colours etc). As with invitations, there are so many different styles of Save the Dates that you can go for. I have a few different ranges on my website, in which you can adapt to suit you. However, if non of them take your fancy, we can also go totally bespoke... Anything is possible! This is a collection designed for pure luxury. The watercolour wash in the background is adapted to your colour scheme- alternatively, you can have a 'clean' background. The Save the Date is foiled- which comes in a huge variety of colours, ranging from gold to hot pink (it doesn't have to be a metallic). They are A7 in size and come with matching luxury white envelopes. There are x10 different designs in this tag style of Save the Dates. You can either add twine or ribbon to them to give them a slightly different look and feel. They are A7 in size, so small and cute! These are great, especially if you are not dead set on a theme yet. You can adapt the colour of the text to your preferred choice. These Save the Dates all have matching Invitation and Day stationery suites. So, from the start to finish, you can have the same design (also available with the tags and luxe range). These are postcard size (A6) and come with envelopes. With the option to upgrade to foiling if you wish. As with all my designs, nothing is restricted. And if all else fails... Go bespoke! 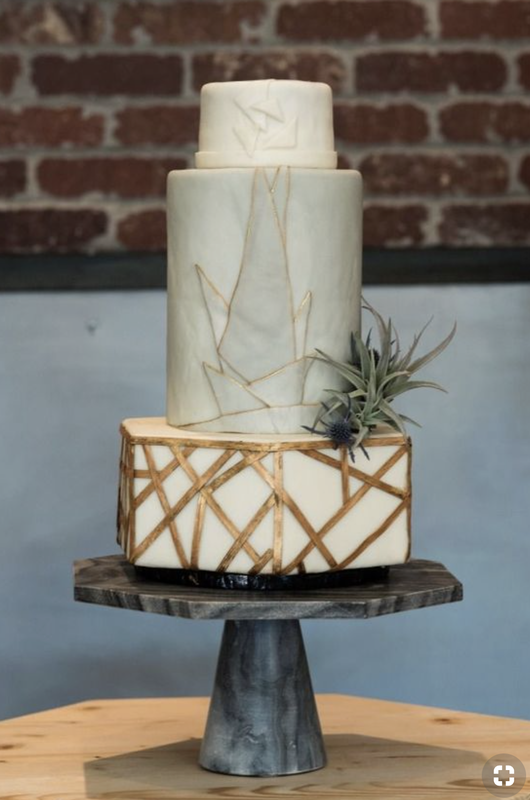 Go for something totally unique and something that you need to get made especially for you in order to match up with your wedding dreams and ideas. These cards that you see below were blind debossed (so no ink) which creates a lovely texture and feel to them. 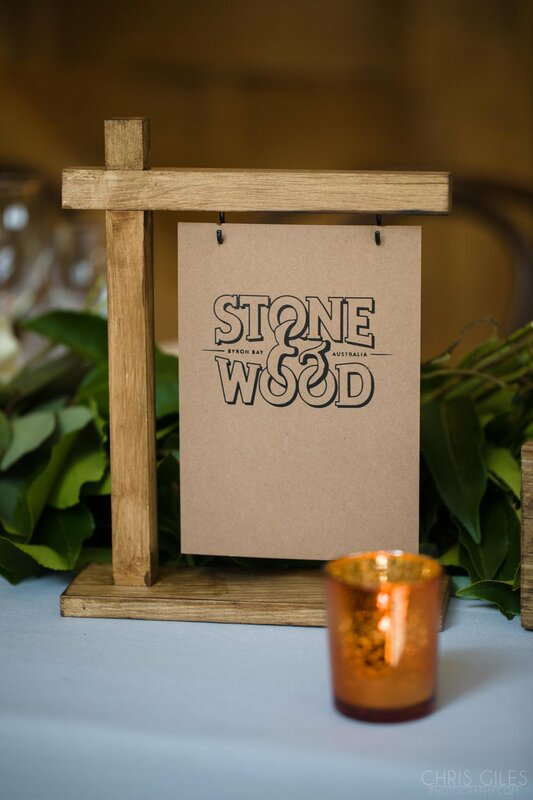 Each and every one has been lovingly hand printed to create this simple yet so very effective finish. Here at Retro Press, we do all kinds of Thank You cards for clients. Even if we haven't had the honour of doing your invitations, fear not, we can still do your bespoke thank you's. Whether you want to use a photograph from the day, multiple photo's from the day, or something more to match the style of your stationery... anything is possible. 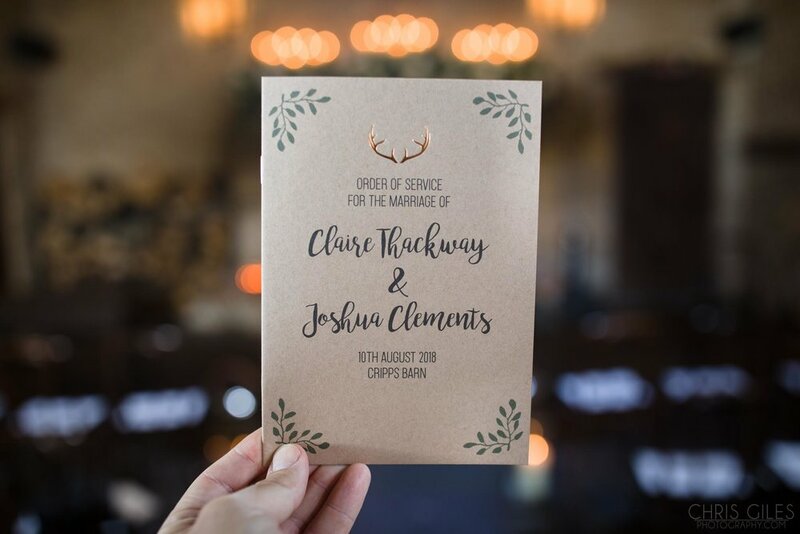 It's important to make these personalised, whether it's using an image or style, your guests will very much appreciate it; it's the last bit of your WEDMIN left to do and then that's it, you can enjoy married life! Here are some recent bespoke Thank You cards designed and printed here at Retro... 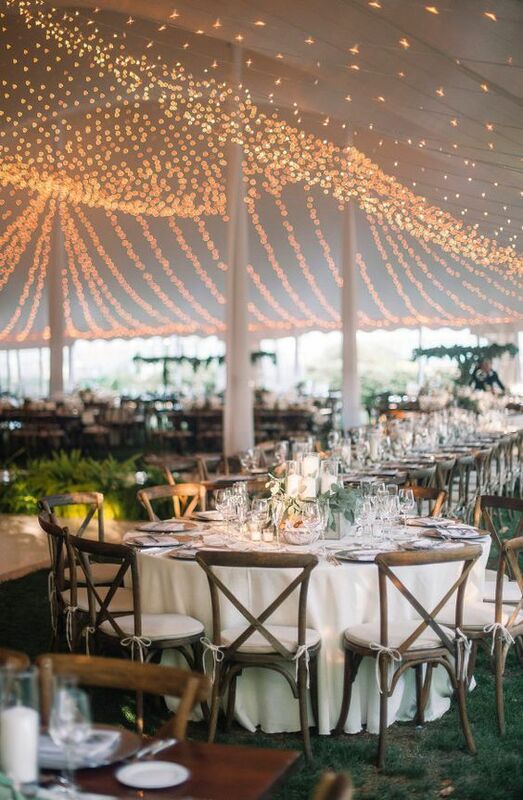 It's all about the Rose Gold for this couple! The couple's wedding stationery was very much in the grey tones, so they decided that they wanted a little bit of colour for their cards, but still within the same luxury feel. 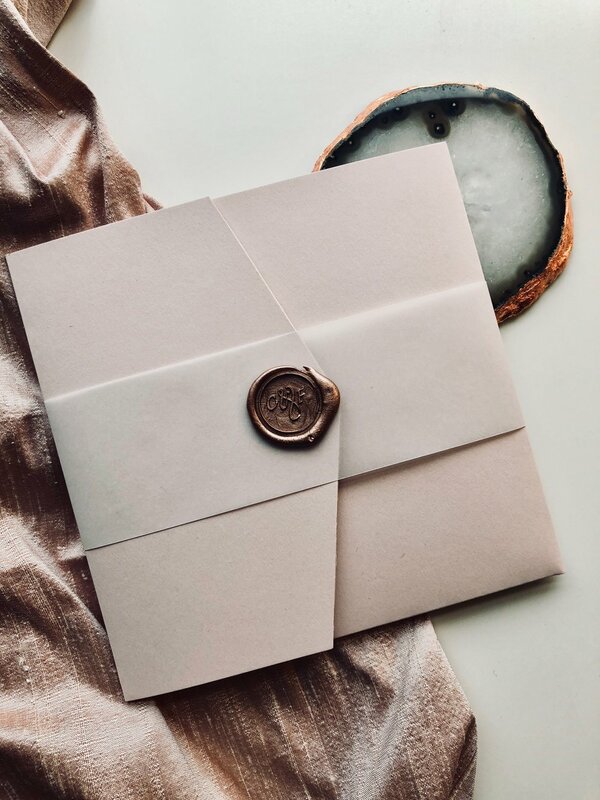 As you can see from the pictures below, the "Thank You" is rose gold foiled and so are the couples initials on the envelopes- making them even more extra special. Don't hesitate to get in touch with your wonderful card ideas and let us bring them to life!